Following up on my previous post on High Street stores in Pakistan, I have some great news for those who do not already know; Monsoon will be launching its second store in Lahore on the 30th of August 2012, at Mall 1 - located on Gulberg's Main Boulevard. Karachi's success was undoubtedly phenomenal, now the Lahore-based girls get a taste of having a British high street store in their vicinity. Might I mention, Monsoon not only stocks women's wear but also children's clothing, offering a favourable range to mothers. Children outgrow their clothes quickly, so how much can one stock up on clothes from overseas? It is so much easier to have the option to drop by the mall and pick up something for a birthday party or similar event. Monsoon Lahore will showcase the Autumn/Winter 2012 collection upon their opening. 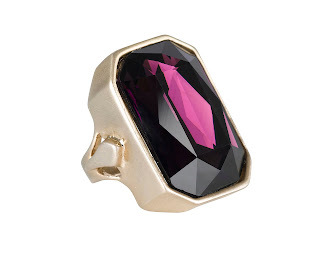 One can never have enough cocktail/statement rings, love this ring and the fact that it will go with just about any outfit. 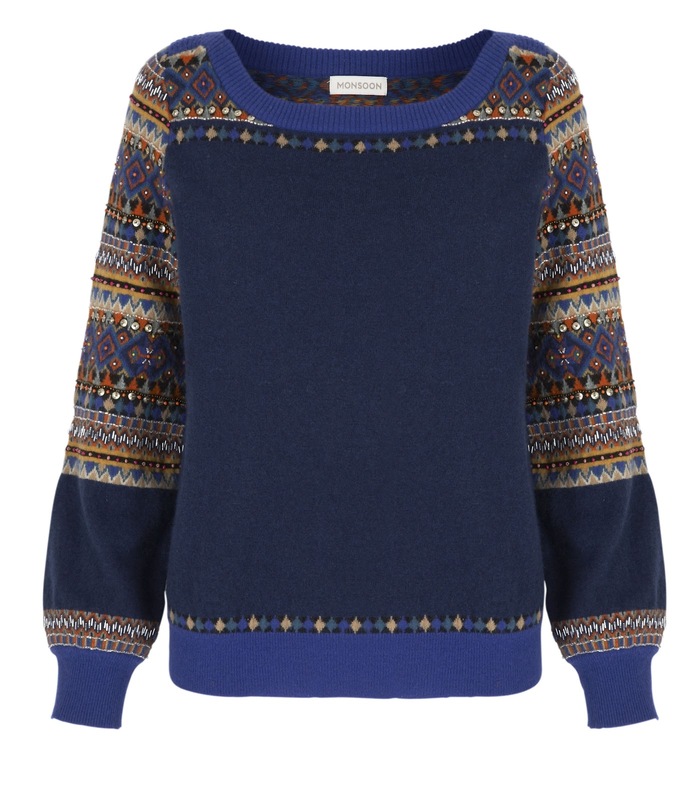 Mumbai Embellished Sweater: Winter is right around the corner ladies and I love my sweaters on skinny jeans. This sweater is perfect for skinnies. 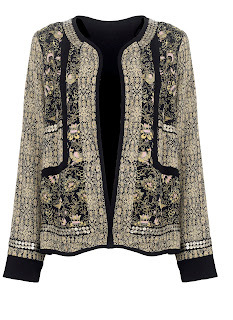 This Persian Peacock jacket is to die for, so very chic paired with a dress, black pants, or even skinny jeans. In fact I am going to pick it up for myself. 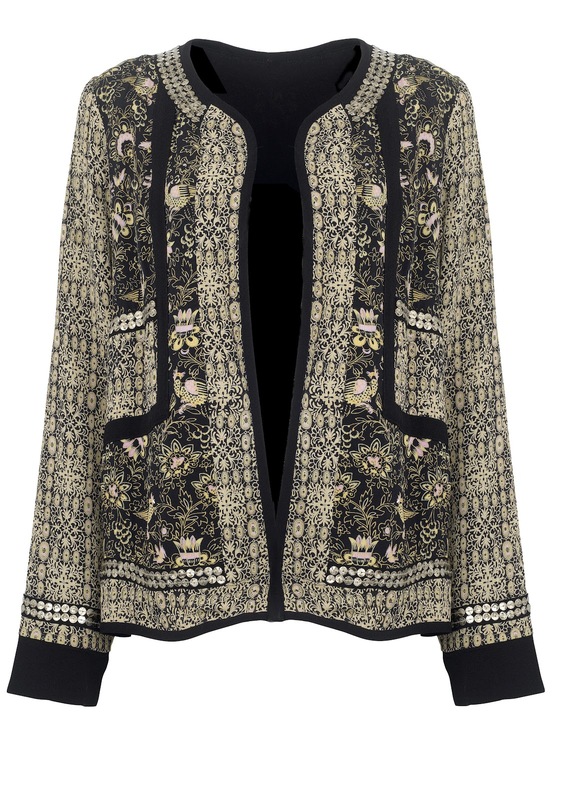 It reminds me a bit of the Balmain A/W'12 jackets but way more wearable. Both these dresses are so feminine and pretty, I prefer it in the dusty pink but the black is beautiful too. Perfect for a night out. As you may have noticed Monsoon's clothing always has a bit of an ethnic touch, interestingly enough I found that this is because Monsoon's heritage and early collections were put together from clothes made in South Asian villages. Despite growing into a global company with over 1000 stores worldwide, Monsoon has remained loyal to their roots, and this is represented in their collections. This is what makes a store stand out for me, because they are offering something slightly different to the run of the mill designs, and when you want to invest in a "piece" you want it to tell a bit of a story. Hope the Lahori fashionistas make it to the launch, I would love to read your feedback on the collection so do drop me a comment.